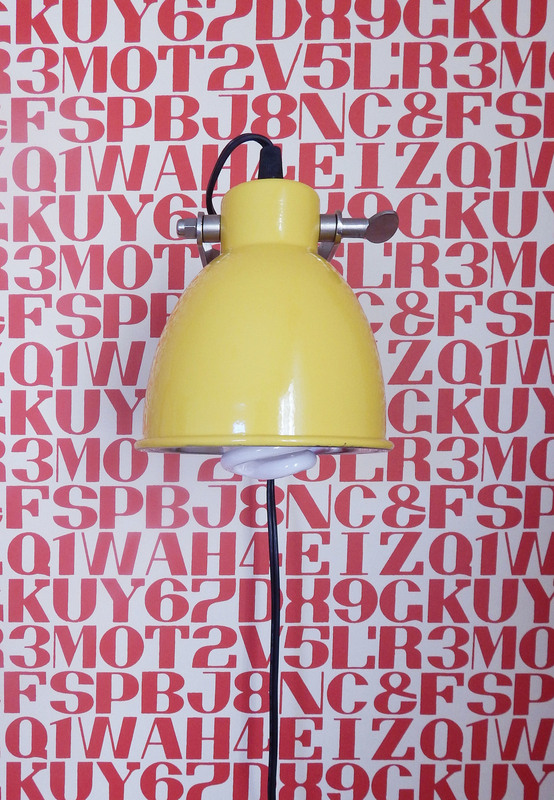 This fabulous Maraham paper made the perfect backdrop for this accent wall. The large "R" added a pop of yellow into the space. I made the mistake of table lamps in Rocco's last room which were knocked over too many times to count. These sconces from Crate & Barrel are secure on the wall and add a great detail. The red bed was key to the design. This is an iron bed from my Great Great Grandma. 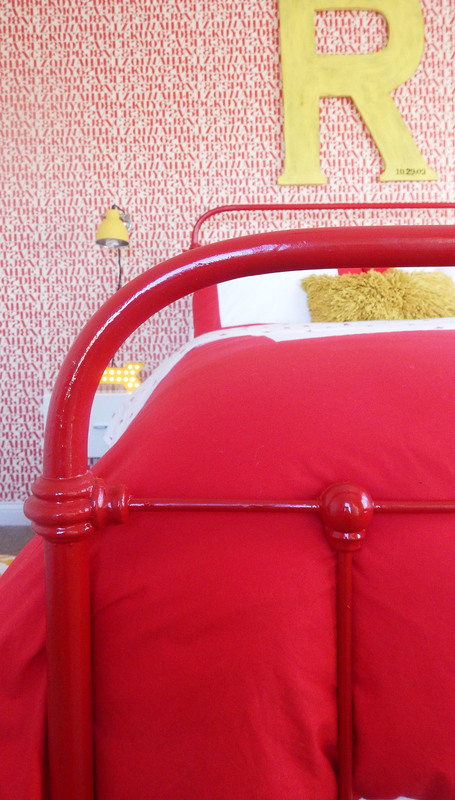 A fresh coat of red paint updated the look for a modern boys bedroom. Skiing is one of Rocco's favorite sports and this Burton Ski Owl pillow was a great addition to the room. The Serena & Lilly bedding completes the look. This empty corner was a great chance to add a chair and a pillow letting Rocco know just how I feel about him. We had just settled into our new house in VA when we found out we would be moving again. VA was the only home our son, Rocco, had known. He was leaving behind everything familiar and his best friends. In order to help make this an exciting time I asked him what he wanted his new room to be like. He quickly responded, "RED! Red bed, red walls, red toys, red pictures." Well, that was a bit much but I came as close as I could! He is very proud of his new "red room" and has settled in to his new home.